From the Gulf War to Afghanistan, and from the Falklands to Kosovo, the Harrier has played a key role in the most significant conflicts of the modern era. 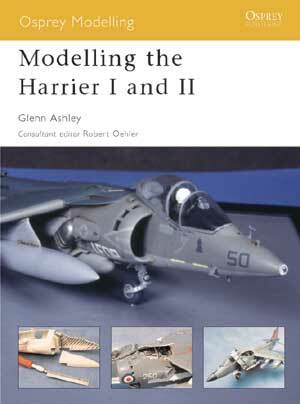 Book focuses on the British variants of the Harrier and Sea Harrier, as well as the AV-8 series used by the USMC. From 1/24th to 1/72nd scale, it examines the use of resin and photo-etching, weathering techniques, conversion kits and diorama scenarios, with ideas and projects to challenge modelers working at all levels. Modelling the Harrier I and II: 80 pgs, softbound, 9.75 x 7.25, illustrations, color reference cards and color photos.